Choosing the perfect gift for every person on your list takes planning. If you’re like us, you’re probably finishing off some last minute items this week! You’re here because you’ve got a bowler on that list. We put together a list of some of the items that you can pick up for your favorite bowler at a pro shop near you. Need help finding a pro shop? We can help with that too. Storm Intense: A new Bowling Ball always looks great under the tree! With the new Intense, our R&D Team is taking it a step further with the new RAD-E™ Core. Not convinced? Try out the Storm MatchMaker to see which ball might fit your game. GT Tape: This is a breakthrough in modern sport science. It provides stimulation to a variety of sensory nerves in the skin and surrounding tissues by amplifying touch sensitivity, increasing fine motor control, improving pain reduction, and heightening temperature and pressure sensitivity. For more information click here or watch this introduction video. Reacta Wipes: Christmas is the perfect time to stuff stockings with those supplies to keep those bowling balls maintained. 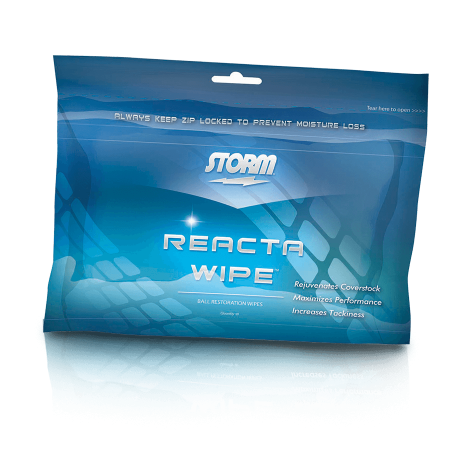 Grab some Reacta Wipes from your local pro shop and keep them in your bag for a quick solution before and after bowling. Take Reacta Wipes everywhere you go since it is legal to use during competition. Abralon Grip Disc: You won’t spend too much time in a bowling center without seeing one of these come out of the bag. Abralon pads are the gold standard for refinishing bowling balls. Available in 180-4000 grit disks, they are what Storm utilizes in the factory. 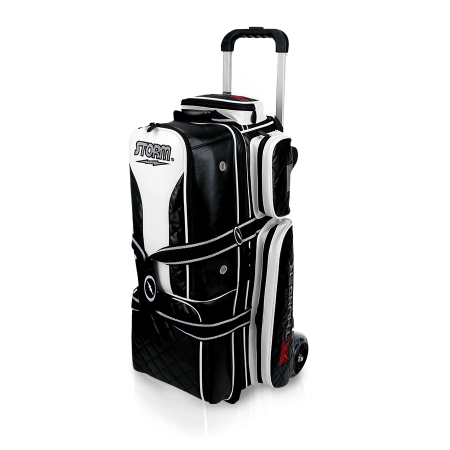 3-Ball Rolling Thunder Signature: The all white version of our Signature Rolling Thunder series was a huge favorite for league bowlers last season. After feedback from bowlers in the field, this season we’ve added a version that includes more black in the design. If you’re looking for a bag that’s durable and allows you to find your bag in a crowd, look no further than this bag. All the details can be found here. Head to your local pro shop to order one today! BONUS: There’s a 4 ball version you can find here. 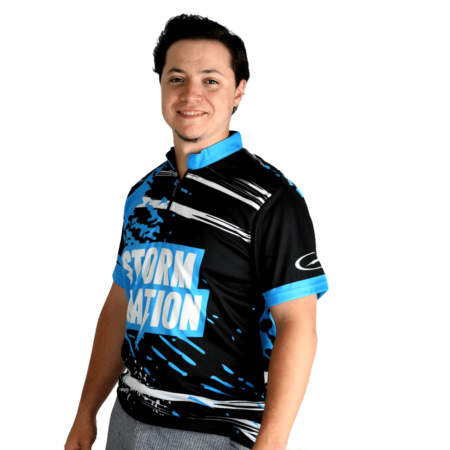 Storm Nation Jersey: A must-have for every member of #StormNation. This colorful performance bowling jersey designed by bowlers, for bowlers. Motion Polo: State Tournament is right around the corner? We’ve got a great selection of polos to outfit your whole team. 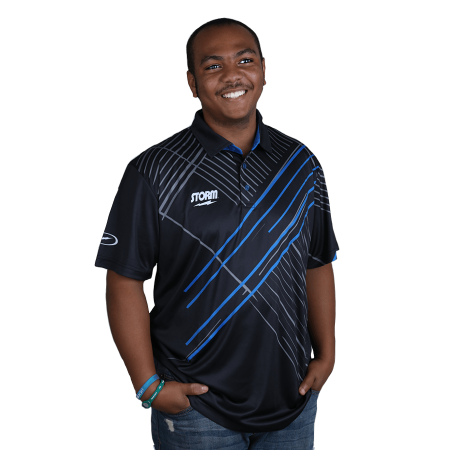 An upscale design combined with moisture management technology makes this polo an excellent choice for performance and comfort on the lanes. Storm Tees: Looking for something a little more casual for those nights on the lanes, we’ve got lots of new styles of Storm Tees in our Storm Shop. Pick up some for the whole family for your next mixed doubles event.Fan favorite: Storm Nation Tee. 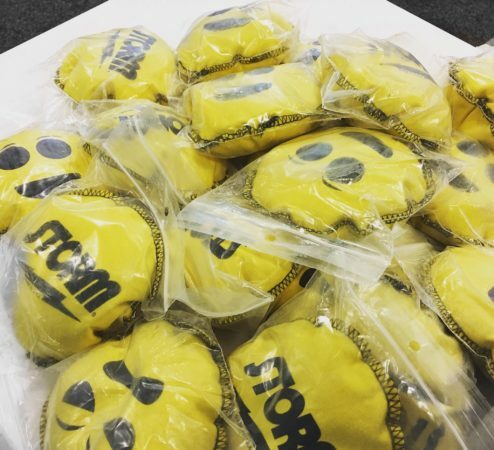 Stormmoji Grip Sacks: These fun accessories come in three different faces for the bowler who loves to show their emotions on the lanes! 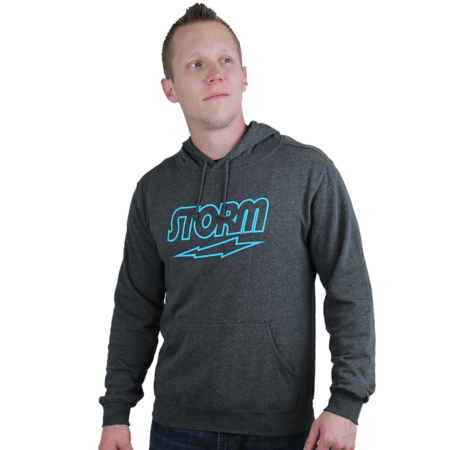 Storm Hoodies: Don’t forget the fan who’s always there to support their favorite bowler. It can get pretty cold in those bowling centers. We’ve got one in pink too! Did we miss something? Share your favorite items by using the hashtag #StormNation on your social media channels.